Robin Gerster is Professor in the School of Languages, Literatures, Cultures and Linguistics at Monash University. He is the author of the travel book Legless in Ginza: Orientating Japan (Melbourne University Press, 1999), and the cultural history of the Australian involvement in the post-war military occupation of Japan, Travels in Atomic Sunshine (Scribe, 2008). Photography has been a key means by which Australians have sought to define their relationships with Japan. From the fascination with all things Japanese in the late nineteenth century, through the era of ‘White Australia’, the bitter enmity of the Pacific War, the path to reconciliation in the post-war period and the culturally complicated bilateralism of today, Australians have used their cameras to express a divided sense of conflict and kinship with a country that has by turns fascinated and infuriated. The remarkable photographs collected and discussed here for the first time shed new light on the history of Australia’s engagement with its most important regional partner. 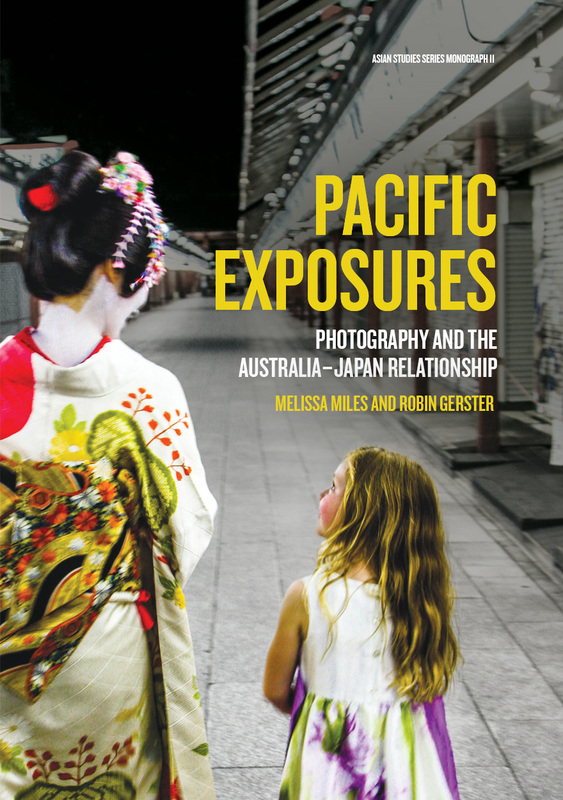 Pacific Exposures argues that photographs tell an important story of cultural production, response and reaction—not only about how Australians have pictured Japan over the decades, but how they see their own place in the Asia-Pacific. ‘Pacific Exposures presents the first study of the photographic exchanges between Australia and Japan—its photographers, personalities, motivations, anxieties and tensions—based on a diverse range of archival materials, interviews, and well-chosen photographs.’ — Dr Luke Gartlan, University of St Andrews ‘[Pacific Exposures] will become a key text on Australia’s interactions with Japan, and the way that photographs can inform cross-cultural relations through their production, consumption and circulation.’ — Prof. Kate Darian-Smith, University of Tasmania In the media Listen to the ABC Radio interview: Japan in Focus (from 13:06).